Erika's Favorite Park: Valley of Fire State Park | Oh, Ranger! Nevada is known for having some of the most unique and beautiful desert landscapes in the country! 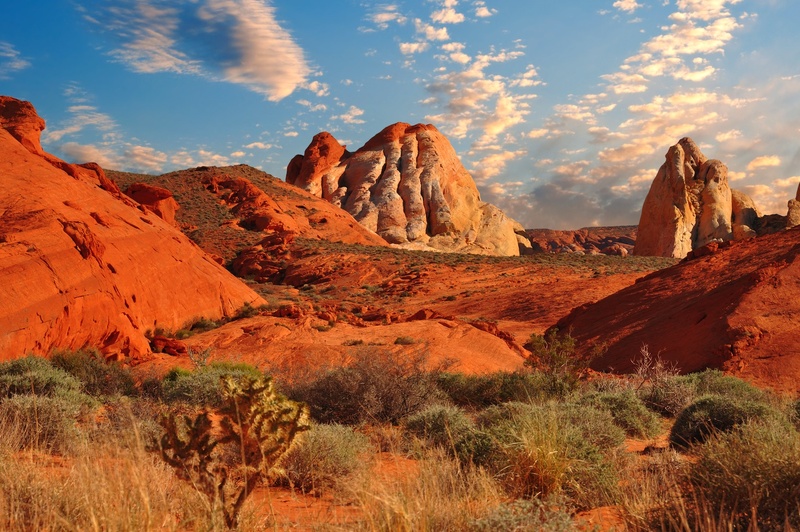 It's oldest and largest state park, Valley of Fire, is no exception. Spread across over 40,000 sprawling acres, this massive park boasts 3,000 year old petroglyphs carved in sandstone and breathtaking views of maroon-colored rock formations which were created during the age of the dinosaurs! This Nevada gem is truly a sight to be seen. Part of my job here at American Park Network involves finding incredible, awe-inspiring photos of parks around the country. Some of these images literally take my breath away! As I’m doing photo research, every so often you might hear a gasp of excitement or exclamation of “Woah!” coming from my side of the room. I discover places that I never knew existed in this great, big, beautiful country and I quite literally fall in love with a different park every single day! This blog series will allow me to share some of favorite destinations with you as I discover the beauty of America from behind my computer screen. Some places will be well known, some will be hidden gems, but either way I hope to help you discover some incredible new parks!